More than 1,000 homes are to be developed in one of the biggest investments in city living the West Midlands has ever seen. City firm Seven Capital is behind the £125 million move, which experts claim is a major milestone on the road back from years of economic downturn in the region. In the past week, the company has bought One Hagley Road at Five Ways in Edgbaston, the St George’s Urban Village scheme in the Jewellery Quarter and the Point North building at the Waterfront in Brierley Hill – with hundreds of homes being created in each. Construction work is set to start within weeks and the firm plans to develop a total of 823,000 sq ft of apartments within two years – more than the area covered by 10 football pitches. The scheme will see 600 construction jobs created over two years. Phil Carlin, managing director of Colmore Row-based Seven Capital, said with HS2 and Jaguar Land Rover driving the region’s economy, there were plans afoot for thousands more homes in the city centre. He said: “I believe we are at the right point in the curve. The time is right to make a major investment in not only the property market, but Birmingham itself. There is a bit of a timing advantage on our part, and we have a lot more planned in the city. “With a significant number of major infrastructure projects such as New Street Station, Birmingham International Airport extension and HS2 either planned or under way, along with international brands such as JLR and Deutsch Bank driving the economy, there is a growing need for thousands more homes across the city”. 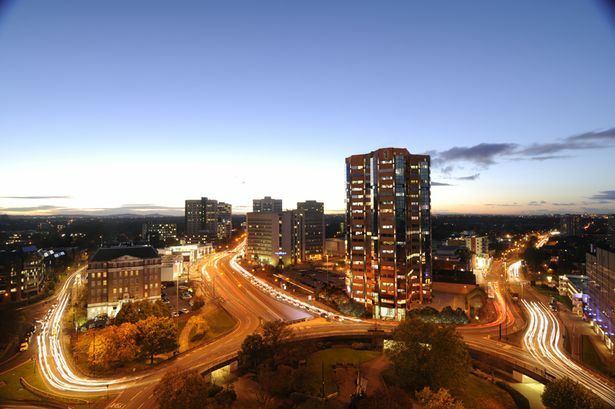 Work will begin within weeks at One Hagley Road after the 20-storey building was acquired from Patron Capital and Mountgrange. Seven has already pre-sold 200 of the 271 units, after attracting investment interest from across the globe, with the remainder going on the market. It is planning to develop about 550 homes at the St George’s Urban Village, around the former Kettleworks, and a further 180 at the Waterfront. But that is just the beginning for Seven, which is also behind the proposed Harrison Drape Building and ongoing Park Regis Hotel developments in Birmingham, as it has wider plans to develop 5,000 homes in the region within five years. The company secured planning consent in 56 days for One Hagley Road because of permitted development rights introduced by government in May 2013 to speed up planning. The work at St George’s – which comprises the former Swan Kettles building, known today as the Kettleworks, and 1.8 acres of vacant land next to it – will take slightly longer, as planning permission has yet to be secured. A deal was completed to buy the buildings and land from the St George’s Partnership, a joint venture between Coventry-based Deeley Group and Birmingham-based Chord Developments, late last week. The scheme totals 430,000 sq ft – half the floor space of Brindleyplace – and about 550 homes are expected. However, work on the Waterfront is expected to finish more quickly after a deal was concluded to buy the property from Richardson Capital earlier this week. Detailed plans are still being drawn up, but the property will be converted from office to residential use, with 181 apartments set within a landmark building. With £65 million being invested, and £125 million of end value predicted, experts believe the trio of deals herald a brighter new future for urban living in the region. Waheed Nazir, director of regeneration at Birmingham City Council, said the council was dealing with “quite a few” schemes using the new prior approval legislation, as part of a focus on growth. He said: “Birmingham has taken a pro-growth agenda, particularly around housing and employment, because we are a city that is bursting at the seams, and unless we respond we wouldn’t be able to meet growth requirements. Birmingham Office Market Forum chairman John Griffiths said the deals represented a landmark moment for development in the region, particularly given the level of foreign investment. Mr Griffiths, a director at GBR Phoenix Beard, represented the vendors on all three deals. “My background is in the office sector and these three buildings have land attached and are now far more suited to residential rather than office buildings,” he said. He added: “As far as overseas investment goes, this shows that Birmingham is really on the map. “We don’t have to explain anything about the city to overseas investors – they are already talking about Birmingham and know what it’s about.